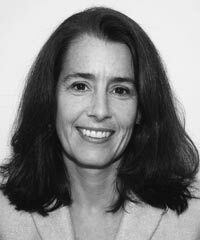 Maureen Conway is Vice President of the Aspen Institute and Executive Director of the Institute’s Economic Opportunities Program (EOP). Conway founded EOP’s Workforce Strategies Initiative (AspenWSI) and has led workforce research at The Aspen Institute since 1999. She leads a team of researchers and consultants in a variety of initiatives to identify and advance strategies that help low-income Americans gain ground in the labor market. A nationally recognized expert in sectoral, or industry-specific, workforce development, Conway has been quoted in a variety of news media, including the New York Times, Wall Street Journal, National Journal, and American Public Media’s Marketplace. She is coeditor of the recent volume Connecting People to Work: Workforce Intermediaries and Sector Strategies.